Today is International Talk Like a Pirate Day, savy? 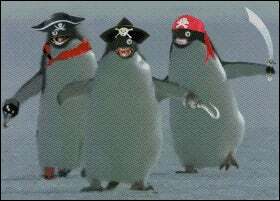 So brin’ up yer swagger, brush up on yer vocabulary, ‘n confuse th’ Davy Jones’ locker out o’ yer mateys. ‘n if ye dunno how, th’ internet has plenty o’ resources.